We share a close bond with our animals and the relationship we build with them can be a source of great comfort to both. However, we can enhance this relationship further through the practice of Reiki, allowing us to support them fully, as they do us. The aim of Japanese first teachings is to help you build a spiritual practice into your life. This spiritual practice includes daily energy meditations and self-healing. It is this practice that will help you to achieve a oneness with Reiki, to become Reiki as opposed to simply being a channel of Reiki and in this space you will find enhanced connection with all animals in your life. Shoden Animal Reiki is suitable for anyone. It does not matter whether you are completely new to Reiki, or have been practicing for years with Western Style Reiki and now wish to deepen your understanding of Reiki by learning to the application of traditional Japanese practices for the benefit of animals as well as yourself. The course itself is completed over two days and is based upon the Let Animals Lead TM approach developed by Kathleen Prasad, which adopts the key principle of working in harmony with animals, allowing them to choose how to receive a treatment. This course is available as a 2 day course for those who have not studied Shoden Reiki and as a one day workshop for those who have, but wish to use their Reiki at a deeper level with animals. Energy (Ki) is something that cannot really be understood until you have experienced it. There are lots of books that go someway to explaining this, such as the Japanese Art of Reiki. However, the only real way to understand it is to experience and understand it from within. The effect it can have on animals is truly remarkable, allowing you to join them in the present moment and develop a shared healing space. All our courses help you learn by your own experiences. Your two days will be filled with practical exercises giving you the opportunity to really feel and work with this amazing energy. Once you have felt the energy yourself, you will learn how to share it with a range of animals. Japanese energy meditations will be practiced with the animals to build on this learning. Full hands on treatments for self and others will be given and received, and there will also be many practical exercises with animals to build even further on the experiences of those attending the two days. Learning this way will help you gain an inner understanding of Reiki and yourself. Healing is about creating balance, bringing heart and mind into harmony. By doing so, you begin to really connect with your true self and your animal. Starting out on the path to spiritual enlightenment, which is what Reiki was, and still is, all about. You will be provided with a certificate upon completion of the course. 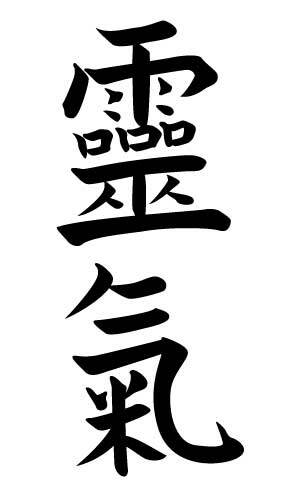 We provide continued learning with Reiki shares and Reiki workshops.